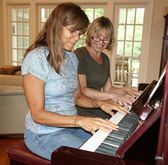 SIGN UP FOR A FREE PIANO LESSON! 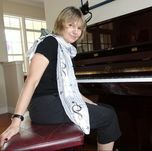 ​Private lessons are given in my home in Lake Mary, FL. ​Student may be taught on acoustic piano, electric piano and/or portable keyboards. I started to play piano when I was 5 years old, growing up in Russia. My piano teacher encouraged me to listen to the music, to explore the beauty of music, to use my imagination to describe music melody. 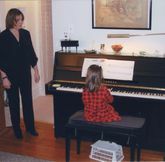 She often played piano with me in ensembles. "Through music, you can see yourself through the harmony and beauty of each note, each musical phrase, its intonation. I will teach you to listen to music, connecting your heart and soul. Through piano lessons, you will discover yourself." ©2015-2018 OLGA GORBOUNOVA. ALL RIGHTS RESERVED.